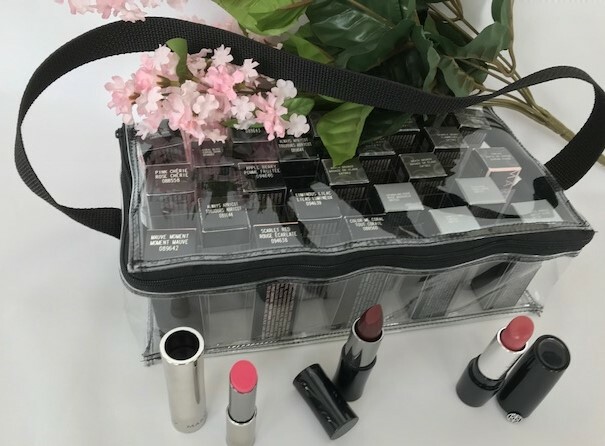 Made of heavy Gauge Clear viny, the tote has 3-sided wrap around zipper for easy in and out of your lipsticks. Handy web carry strap with plastic cell dividers. Measures 10" x 5" x 3" and holds 45 tubes of any formula lipstick.